It was another great weekend for hoof boots. 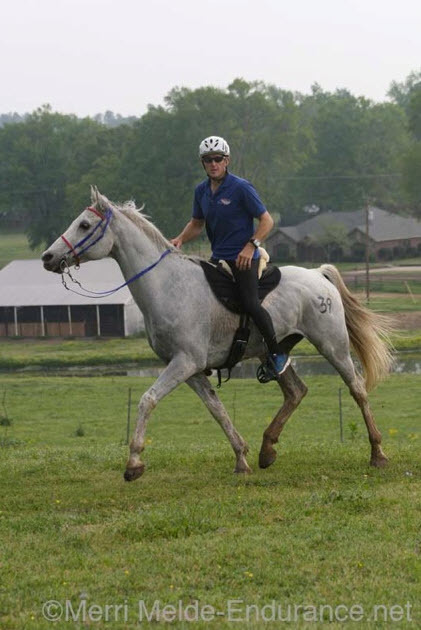 Easyboots were used by several of the horse and rider teams at the USA Endurance Team Time Trial for the 2012 World Endurance Championship. Although many Easybooted horse and rider teams didn’t have the day they had hoped for, the first, fourth and seventh place horse and rider teams finished wearing Easyboots. The Best Condition prize was also awarded to a horse that completed the course in Easyboots. Jeremy Reynolds and Kutt take home first place and best condition in Easyboots. Photo by Merri Melde. 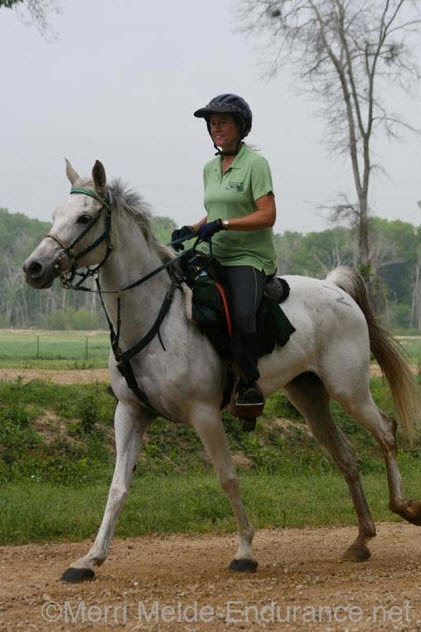 Heather Reynolds and Riverwatch finish in fourth place. Photo by Merri Melde. Amy Atkins and Juniper finish in seventh place. Photo by Merri Melde. 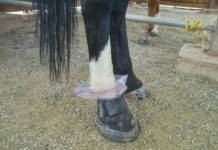 In addition to the Easybooted horses, several other of the USA competitors were using Renegade Glue-On hoof boots. The second place horse finished in Renegade glue-on hoof boots. At the end of the day, Easyboot horses and Renegade horses accounted for nearly half of the USA riders looking for a spot on the team heading to England. 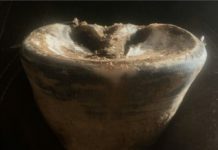 The event shows that hoof boots are here to stay and are being used at the top levels of equine sports. 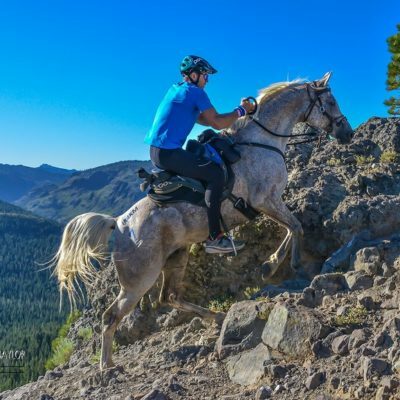 One of my favorite moments of the day was watching Jeremy Reynolds take time away from his horse during one of 30-minute vet stops towards the end of the race. 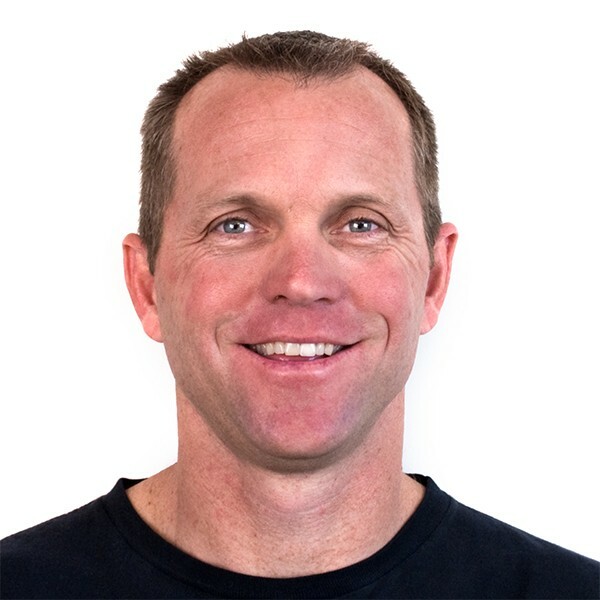 Jeremy put his race aside and helped a fellow competitor with a lost shoe. He tacked the shoe on with minutes to spare and then quickly jumped on his horse as he departed on his way to his eventual first place finish. 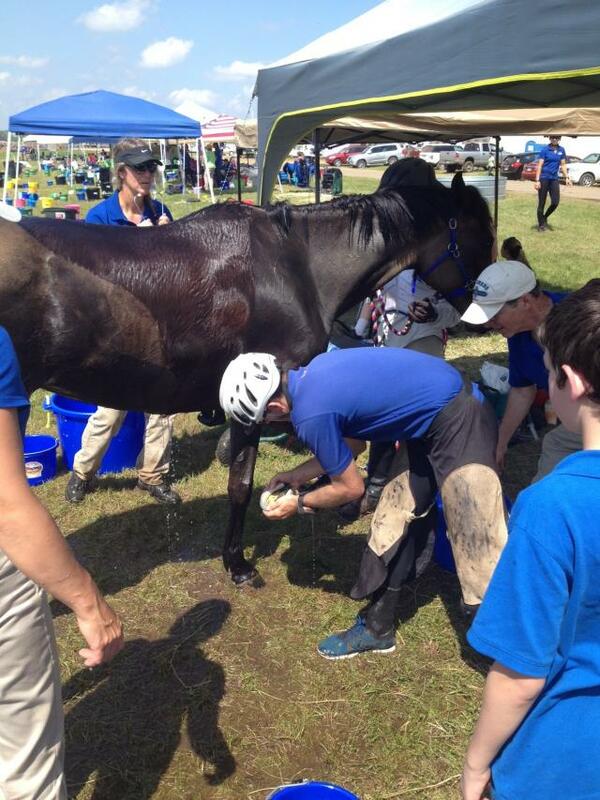 Jeremy Reynolds applies a shoe to a fellow competitor’s horse during a short vet stop. Jeremy is still in his helmet! 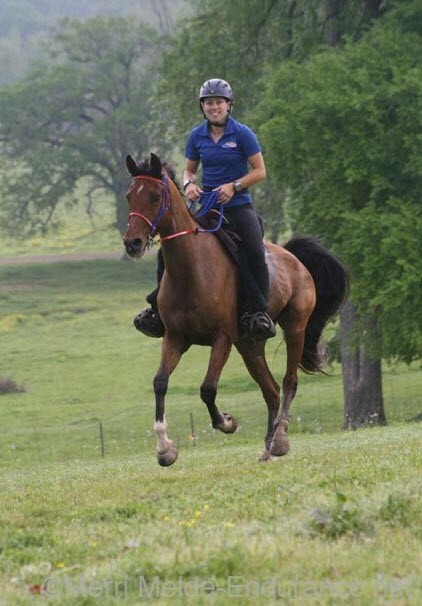 EasyCare is looking forward to the possibility for riders on the USA Endurance team to compete in Easyboots. We have several new tread patterns for them to choose from that will help them stick to the course. In addition, EasyCare’s new EasyShoe may be the perfect option for the English countryside.